Phlexglobal are the trial master file (TMF) experts and pioneers in the provision of innovative, flexible and technology-enabled TMF solutions and services. 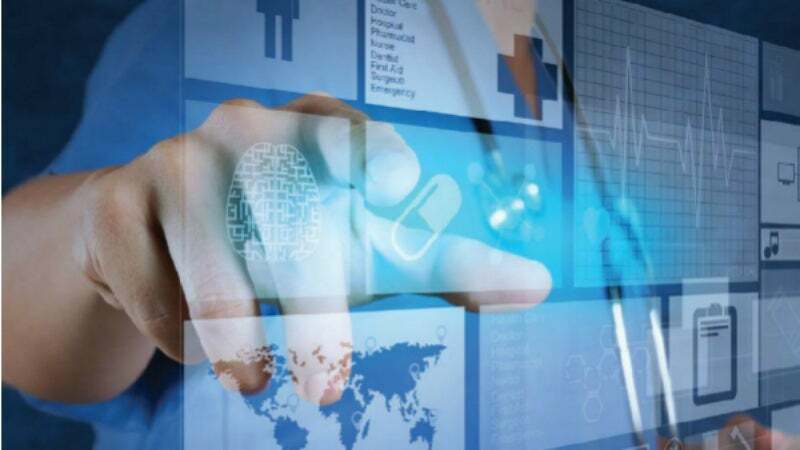 A specialist provider of electronic trial master file (eTMF) solutions and other support services to the global clinical research market; we offer a unique combination of technology, quality and services that deliver a range of flexible, targeted solutions to the life science industry. The company offers a unique combination of TMF technology, quality and services to deliver a range of flexible, targeted solutions to the life sciences industry. Phlexglobal works with commercial and non-commercial organisations, pharmaceutical and biotech companies, as well as full service contract research organisation (CROs). The company promotes TMF excellence by focusing on efficient management of clinical trial documents, paper and electronic documents. By working with large and small organisations on a global level, Phlexglobal has gained a detailed understanding of accurate and complete TMF, enabling the evaluation of a clinical trial. Phlexglobal supports clinical research companies with predominantly paper TMFs, which are considering moving to an eTMF system. The company provides standardisation of filing, security of filing in dedicated TMF rooms, quality control of content, TMF consolidation and archiving to ensure regulatory compliance. PhlexEview is the company’s leading eTMF management solution, with associated business processing services also available. These solutions enables production of a regulatory compliant eTMF, in accordance with 21 CFR part 11. PhlexEview is the leading choice for managing, organising, and displaying TMF documents and implemented more than competitor systems. With thousands of worldwide users, PhlexEview enables users to enhance work practices, while increasing efficiency, through the use of specialised software, as well as experienced support and optimised processes. The PhlexEmetrics module enables users to gather critical information at a glance. Developed in collaboration with Phlexglobal’s client base, the module offers an intuitive and easy-to-configure eTMF solution to risk-based management. Using business intelligence and built on clear, concise visual dashboards, users can quickly progress, identify issues and drill down to expose the root cause and analyse details. Three key dashboards include PhlexEview insight, partner oversight and eTMF completeness, which provide instant cross-study understanding and the ability to filter, by specific study datasets, down to document level for in-depth analysis. PhlexEview offers eTMF content metrics, partner document submission trends and milestone completeness detail. PhlexEisf allows investigators, study nurses and pharmacy staff to create and view documents, as well as submit paper or electronic documents with ease anywhere and at any time, using an intuitive user binder style interface. Using the company’s specialist software, PhlexEisf enhances productivity and ensures users are using electronic importer security filing (ISF) effectively and efficiently. PhlexEarchive enables electronic archiving and reduces the costs of maintenance for servers, operating systems and application software. Security can be improved through e-Archiving by reducing the risk of accidental or deliberate change, damage or loss. PhlexEarchive involve transforming content, including TMF documents into portable document format (PDF) / A format and creating a standard XML backbone for associated metadata. Both are stored offline with Phlexglobal’s partner company Arkivum, using A-Stor Pharma digital archiving service. Whether we like it or not, inspections are a crucial part of clinical trials. It is extremely important that all companies are ready and properly follow good clinical practice (GCP) guidelines. PhlexEarchive features long term preservation, PDF/A and XML format for documents and metadata, and meets regulatory requirements. PhlexEisf is an electronic investigator site file (eISF) for the management, storage, and creation of site documents. PhlexEview, the leading eTMF system, has been implemented more than any other system worldwide. Phlexglobal has a wide range of experience with trial master file (TMF) and electronic trial master file (eTMF) requirements from a regulatory authority perspective. Phlexglobal provides advise and assists companies in how to re-engineer their business resulting in greater efficiency and regulatory compliance. With an all new simplified study set-up, PhlexEview features an easy-to-answer wizard-driven set-up, which defines completeness requirements automatically. Phlexglobal's Client Solutions group offers expert consultancy, which leads to successful trial master file (TMF) management. Phlexglobal has announced that it is joining fellow experts at DIA’s eDM Clinical and Regulatory Operations Forum. New strategies to promote compliance and inspection readiness will be the focus of Phlexglobal’s TMF World Forum. Join trial management file (TMF) experts and industry professionals for a series of informative sessions and panel discussions on the topics that matter in TMF management. In the ever-challenging environment of regulatory compliance, it is vital that we all keep up with the latest strategies to efficiently stay compliant and ensure your trial master files (TMF) are inspection-ready. Phlexglobal has announced the appointment of Karen Roy to chief strategy officer. In 2007, highly-respected trial master file (TMF) thought leader Karen Roy joined Phlexglobal as chief business development officer and since 2015 she has led Phlexglobal’s global client solutions team. Phlexgobal invites you to complimentary webinar 'eTMF Quality Control Using Heatmaps'. Phlexglobal has announced that it will be hosting the eTMF Quality and Innovation Seminar at the Hilton Paris Opera venue in France. Phlexglobal has announced appointment of three experienced industry professionals to its senior teams. Phlexglobal has extended an invitation for you to join its complimentary USA East Coast Seminars in Cambridge (MA) and Edison (NJ) this June. Phlexglobal has announced it will be hosting a webinar to showcase its new Completeness Quality Control (CQC) module as part of its electronic trial master file (eTMF) solution. Phlexglobal has announced that North Carolina-based CRO Rho has implemented PhlexEview4 as its chosen electronic trial master file (eTMF) solution. Phlexglobal has announced it will host the 5th US PhlexEview User Group Conference in Philadelphia, Pennsylvania. With the announcement of exciting new investment from Vitruvian, Phlexglobal will be bigger and better in 2017. Phlexglobal has announced it will be hosting the 5th EU PhlexEview User Group Conference at the Radisson Blu Edwardian Heathrow Hotel in London, UK. Phlexglobal has announced a significant investment by funds managed by Vitruvian Partners, which is now established as a majority shareholder. Phlexglobal has announced that it will be hosting its fifth EU PhlexEview User Group Conference in the Radisson Blu Edwardian Heathrow Hotel in London, UK. Phlexglobal has announced its successful provision of the electronic trial master file (eTMF) PhlexEview to the pharmaceuticals division of Bayer. Have you ever contributed to the regulatory inspection of a trial master file (TMF)? It involves preparation, participation, and assessment to report findings. Phlexglobal have announced it will participate at a number of ExL Events programmes. Phlexglobal will be present at Europe's engaging, international forum, which aims to optimise all aspects of trial master file (TMF) management. Phlexglobal has announced the newest and most feature rich release of PhlexEview, its market leading eTMF solution. Phlexglobal will be attending the 4th USA PhlexEview and eTMF User Group Conference from 29 February to 1March 2016 at the Hyatt at the Bellevue, Philadelphia, PA, US. Phlexglobal will attend the 7th Annual SCOPE Summit from 23-25 February 2016 in Miami, Florida. Phlexglobal will sponsor ExL Pharma's 5th Trial Master File Summit, which will take place from 20-22 January 2016 at the Westin Arlington Gateway in Virginia, US. Phlexglobal has announced the acquisition of UK-based Net Solutions Europe (NSE), an established technology company with a proven track record in delivering superior software solutions. Phlexglobal will be sponsoring, exhibiting and speaking at the 4th Annual European Trial Master File Summit from 12-13 October 2015 in London, UK. Phlexglobal will collaborate with Trial Master Files Europe 2015. Phlexglobal are sponsoring, exhibiting and speaking at the 4th Clinical Trials Inspection Readiness Summit on 12-13 August 2015 in Philadelphia, US. The DIA 51st Annual Meeting 2015 brings together a global community of life sciences professionals at all levels and across all disciplines. Building on the most widely leveraged standardized reference in TMF management today, with version 2.0 used by more than a hundred life science sponsors, CROs and technology vendors, version 3.0 of the TMF Reference Model (released at the DIA Annual Meeting in Washington, DC on June 16th) incorporates feedback from its extensive industry use to enhance content clarity. Phlexglobal is hosting a complimentary webinar on 30 June 2015 at 3pm BST / 10am EST / 7am PST on eISF, the key to inspection readiness. Phlexglobal has announced the appointment of Rick Riegel as chief executive officer and as a new member of its board of directors. Phlexglobal is hosting a TMF Innovation Seminar on Thursday 30 April from 1-4pm at the Hyatt Regency in Cambridge, Massachusetts, US. Phlexglobal has been included in the London Stock Exchange Group's 1,000 companies to Inspire Britain 2015 Report. Phlexglobal is delighted to announce its 3rd EU PhlexEview and eTMF User Group Meeting, which will be held at the Sofitel London Heathrow on Thursday 19 March 2015.